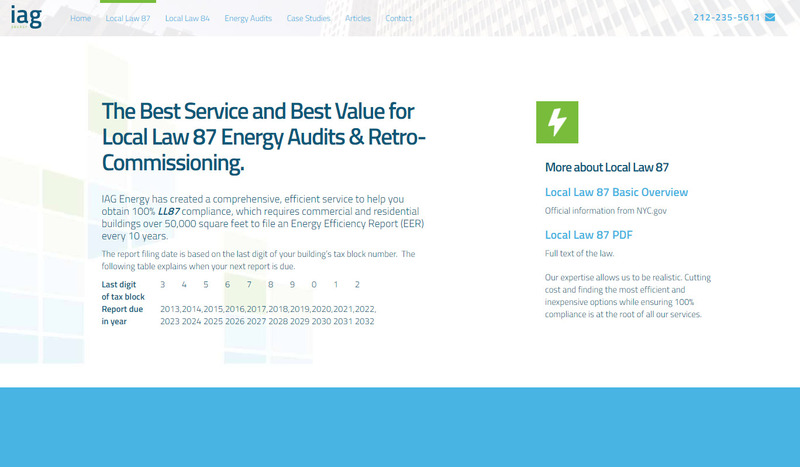 Streamlining the web presence for one of the top energy efficiency companies in New York City. 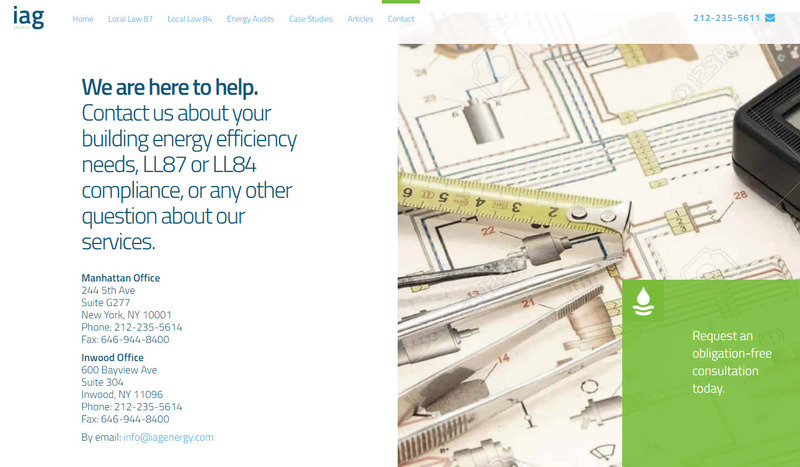 The goal was to keep the key technical information well structured and easy to access. 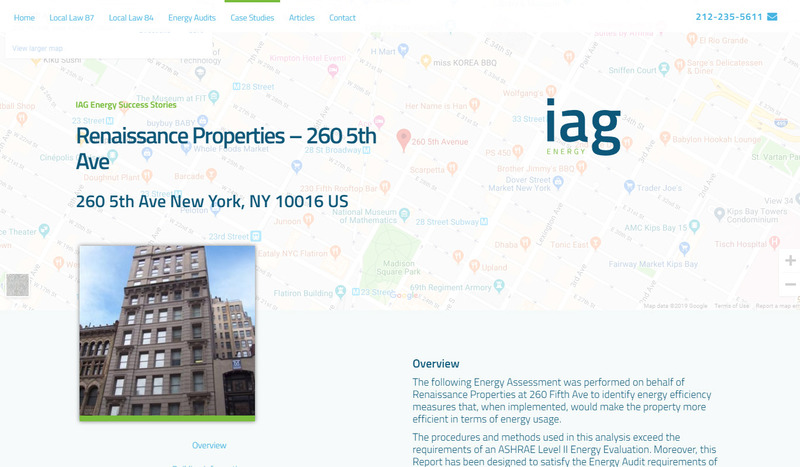 By using CMS layouts to build unlimited styles of single-page stacks, IAG was able to organize content with high conversion efficiency. 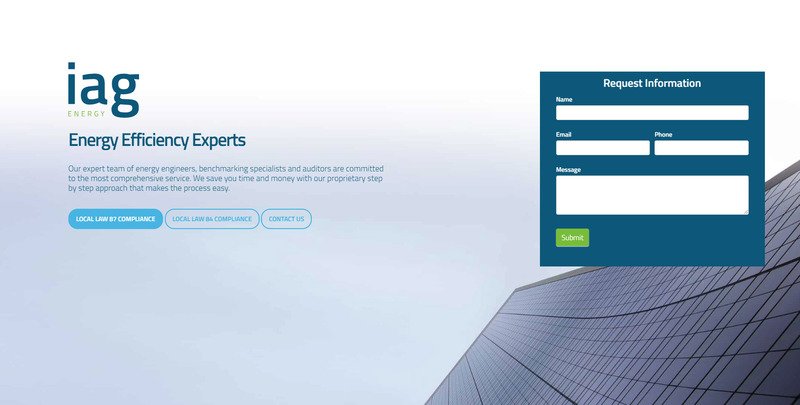 We built an easy to use, custom portfolio manager integrated with Google Maps API to obtain Street View images of project proprieties. 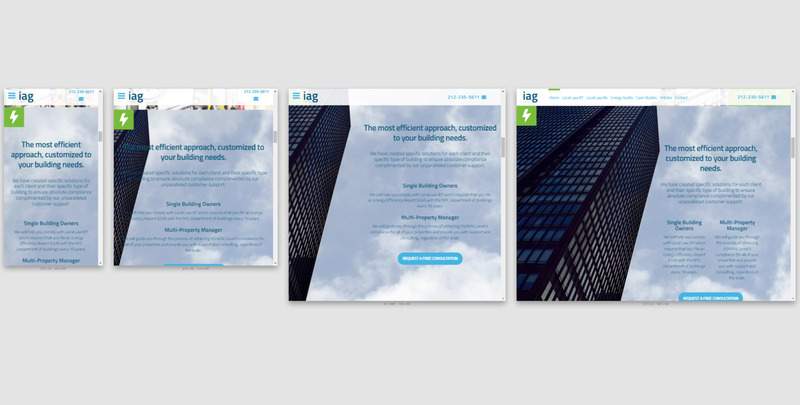 By implementing a clear, efficient and simple conversion strategy, IAG site now generates over 65 leads a day. 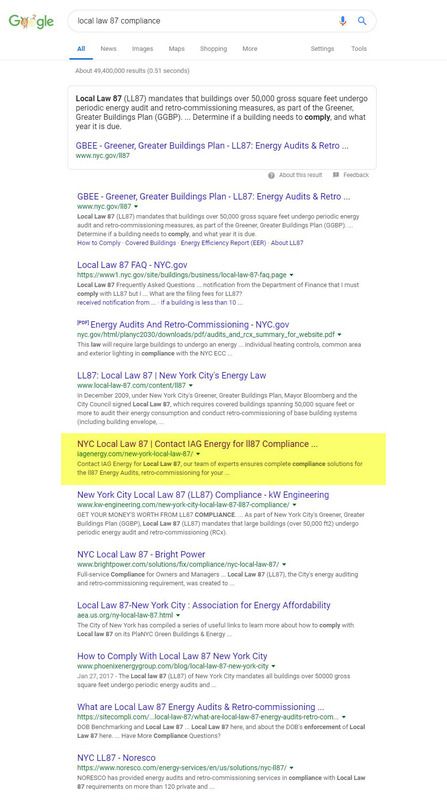 By writing the copy and trying to balance its technicality with keyword density, conversion and persuasive arguments, we were able to rank IAG in the top 10 results in Google. As someone who has never done this before, I was pleasantly surprise how simple and straightforward the process was to go from the idea we had to a live site.